Every spring we look forward to seeing our plot results and this spring didn't disappoint. After killing our largest buck ever on the plot last fall we have a lot of enthusiasm for 2009. 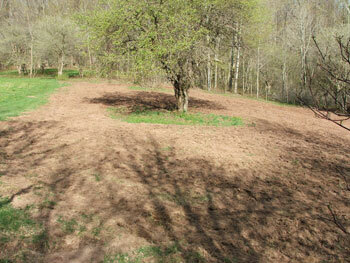 This year, we cleared additional land and are doubling the size of our food plot! Big Plot - Early spring growth is fantastic. This makes the 5th season on the Monster Mix plot and still no need to till and replant. 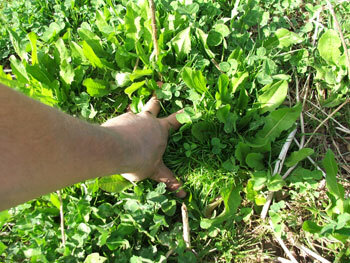 Excellent results on both clover and chicory. 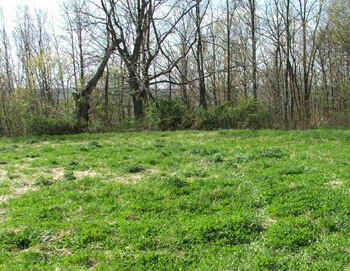 Big Plot - Wide View - we will fertilize and lime this plot again this spring. 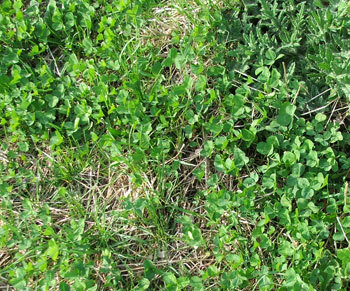 Small Plot - Surprisingly, the annual ryegrass did not come back and there is a new carpet of the imperial whitetail clover we planted last year. 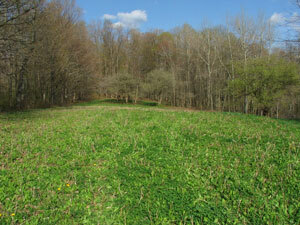 It is not uniform, there are bare spots and we have a lot of invasive thistle plants mixed in with the clover. 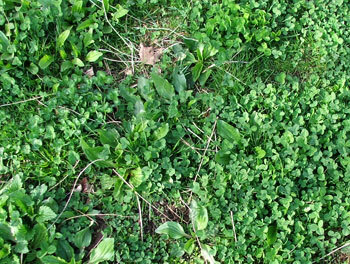 We will need to deal with this weed as it can be very destructive and take over the entire area. 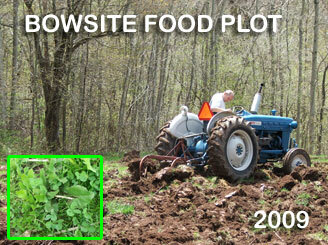 One of the problems with our plot has always been that it just is too small. At 1 acre and deep into the woods, it gets hammered. So this year we broke out the chainsaws and cleared another acre. with the help of a local bulldozer to pull stumps, we took out 18 trees, leaving one adult wild apple tree in the middle of the new 1 acre section. 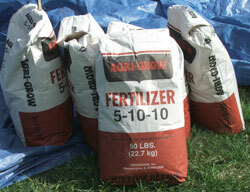 Now, it's time to prepare the soil and install the new plot. 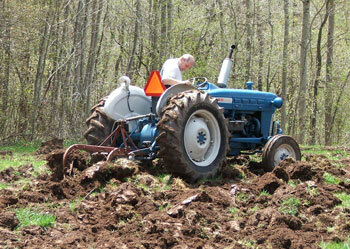 New Plot 3- We pushed our old Ford 2000 to the max breaking up the new ground with a double-bottom plow. A necessary step but one major PITA! New Plot 3 - After plowing was complete (about 2 hours) we thoroughly disked the soil, pulverizing it into a soft loam ready for liming, fertilizing and seeding. 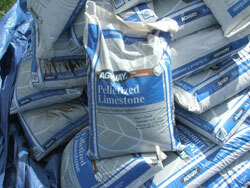 For liming we used pelletized lime applied at 2000 lbs per acre, we also spread 5-10-10 fertilizer before planting a combination of Imperial Whitetail Clover and Monster Mix. 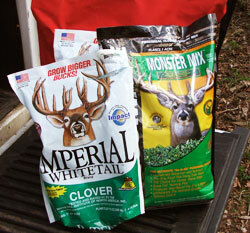 We are giving this combination a shot since the deer seem to slightly prefer the Imperial Clover to the Tecomate product, however the Monster Mix grows wonderfully whereas the Imperial product has been difficult to get established here in Pennsylvania. Our hope is that we can achieve a good combination planting using both seeds. New Plot 3 - After spreading the lime and fertilizer we installed the seed on top of the firm soil bed by a hand broadcast spreader. 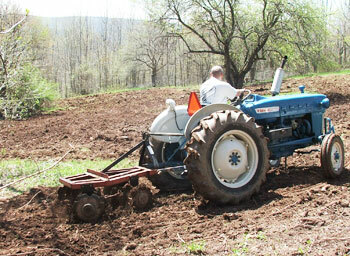 In the absence of a cultipacker, we simply drove over the seed to press it into the soil, completing the installation step. 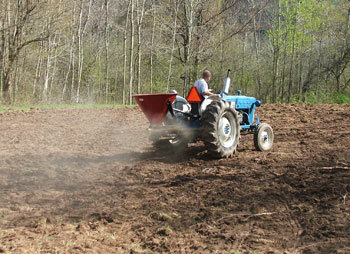 New Plot 3 - about 1 days' worth of effort and $350 in gas, fertilizer, lime, and seed was required to install Plot 3. Now we hope for rainfall to get the cycle started.